Posted March 20, 2019 by Ben & filed under Uncategorized. Related to the last post. Posted March 5, 2019 by Ben & filed under Uncategorized. Posted February 28, 2019 by Ben & filed under Hermit Hut, Six Organs. Hermit Hut Bandcamp is finally happening. This will be the place for Six Organs releases that I am in direct control of, including records that were later reissued by Holy Mountain after my Pavilion label released them, and records that Holy Mountain put out at one time which are now under control of Hermit Hut. I’ve also put up other things such as the Maria Kapel LP, which I released on Pavilion a few years ago in edition of 400. As a sort of launch party I’ve put up a sort of “rarities” release for free download. The songs on this were culled from about 20 years of cassette 4 track recordings that I have in boxes. Think of it as the more “song” side of the RTZ triple LP on Drag City. There’s some demos, weird jams and cover songs that I recorded just for fun over the years. It also includes the aborted Tribute to Vermonster 7” that I recorded in 2002 but deemed to out-of-control for standard Six Organs release but this seems like the right time/format. 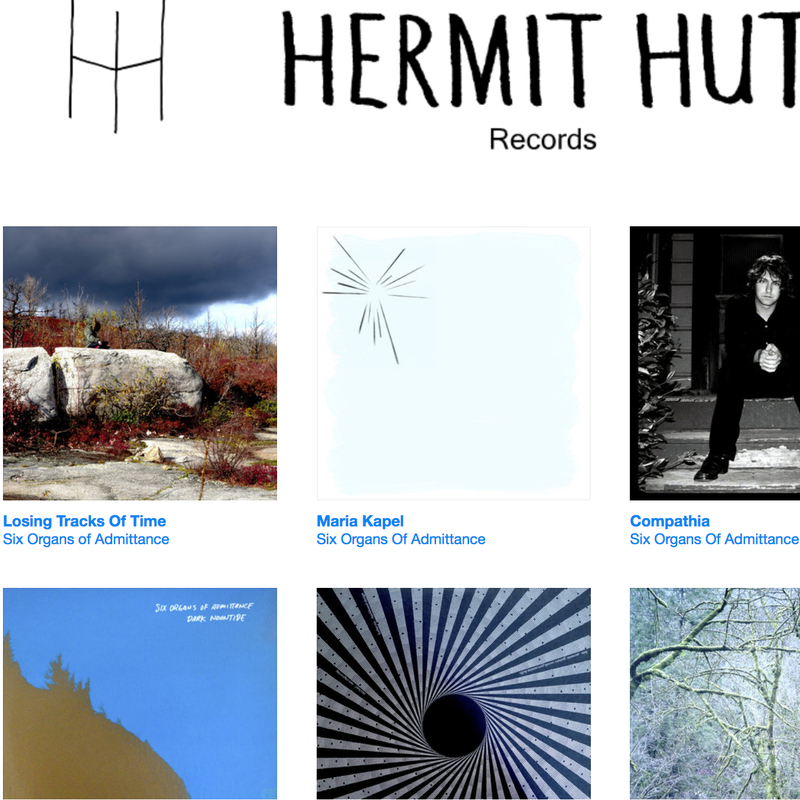 So go to Hermit Hut bandcamp and get yourself a free Six Organs record. Link in bio. I will be using that space to release more weird, rare, and not so rare things to come. Keep an eye out for the Saint Eustace Print and digital EP. I will be releasing 30 of them and keeping 20 for live shows coming up. Probably some tour CDRs that were only available before at shows as well. Plus an LP that those who know the discography will note is missing here. Posted February 25, 2019 by Ben & filed under Uncategorized. These two clips have been my “drink coffee at 7AM and get inspired to work for the day” videos. Big fan of both their work too, obviously. But these videos are really inspiring to actually DO the work. Posted February 8, 2019 by Ben & filed under Uncategorized.